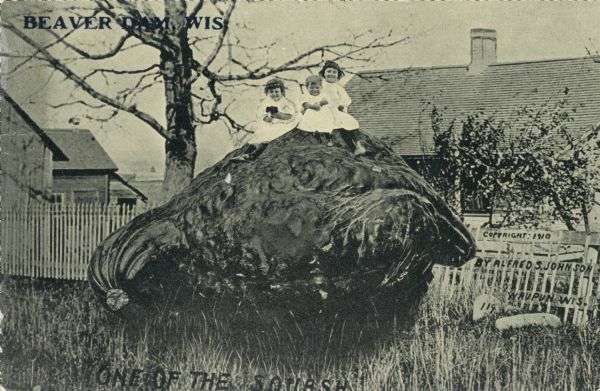 Three smiling children wearing white sitting atop a gigantic, dark squash. Text in top left corner reads, "Beaver Dam, Wis." Fence lines back of squash. Title "One of the Squash," clipped at the bottom of card. Trees and houses in background.